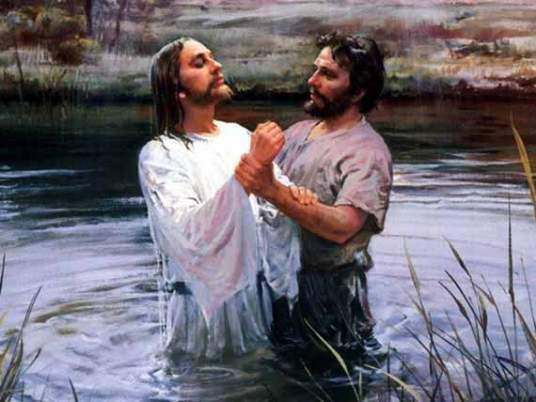 Home » Uncategorized » Why was Jesus baptized? By David B. Capes in Uncategorized on January 14, 2014 . On a similar note: Do you think (for the same reasons you state here as to why Jesus was baptized) that he offered sacrifices? You’ve given me an idea for a new post. I think this is a great question. We cannot answer definitively but I think there is an answer. Jesus declaration to his baptism is to fulfill “all righteousness”, Jesus is consecrating himself to do all the will of God. Jesus permitted himself to be baptized of John to fulfill all righteousness. Immediately after his baptism, Jesus was led into the wilderness by the Holy Spirit, to be tempted, to prove out, to test his obedience unto God and whether His consecration was going to stand. Jesus encountered a temptation that was peculiar to all three areas of His being, spirit, soul and body Had Jesus responded any other way that what He did, He would had been exercising His own authority in His own behalf, and He had committed Himself unto “All Righteousness”. He only lived to express the Father. After three years of being tempted, through sorrows and trials, He was able to present Himself as the sinless sacrifice to God at the cross. If there had been one incident where He failed to express God, He could had never been the Savior of the world.